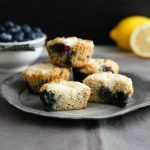 Lemon Blueberry Cheese Danish Muffins are Grain free, gluten free, keto, and low carb lemon berry muffins with a creamy cheese danish center. 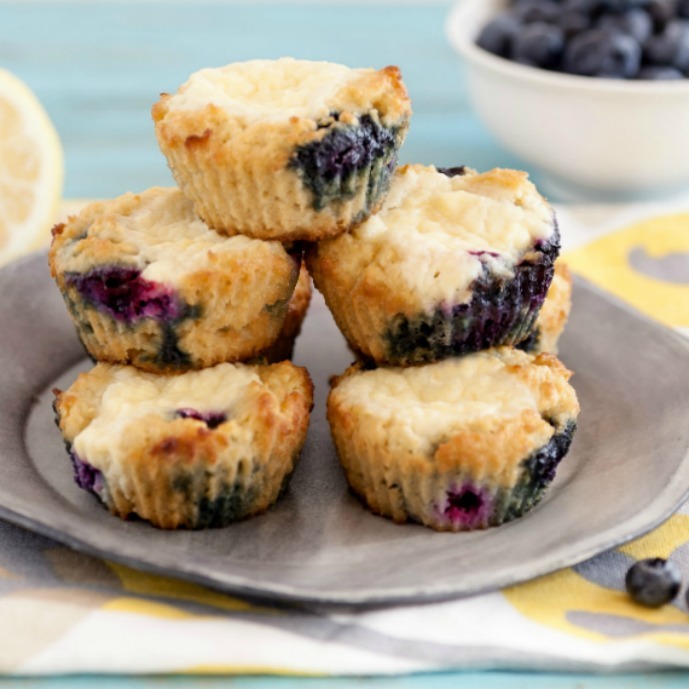 Lemon Blueberry Cheese Danish Muffins! So excited about the awesome deliciousness that is happening here. I miss having those cheese danishes that are so very unhealthy. 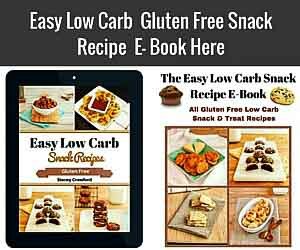 I decided to make a much healthier replacement that is grain free, nut free and starch free. 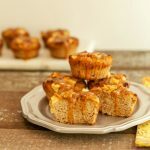 low carb These low carb muffins turned out better than I ever imagined. I think I have a new partner for my morning coffee or tea. 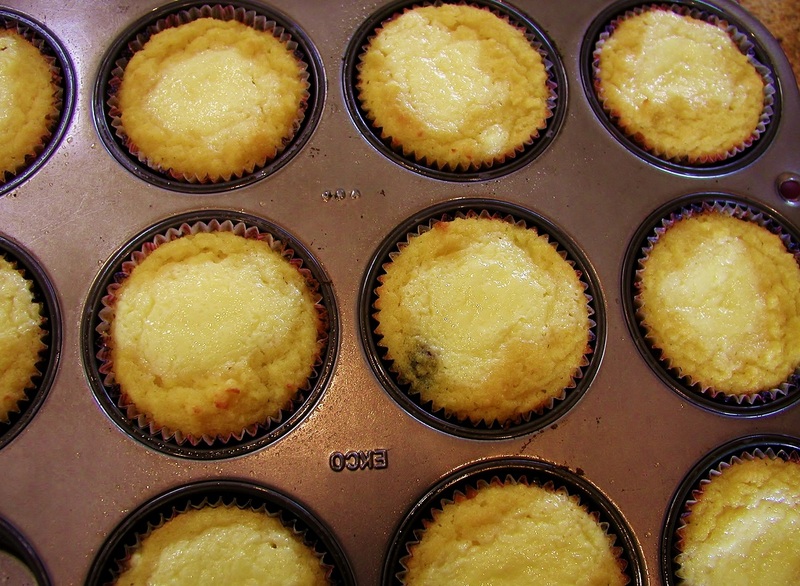 After making the muffin batter, and filling muffin cups, I made an indentation in the center of each muffin. 2. I filled the indentations with the cheese danish filling. 3. After baking the muffins. 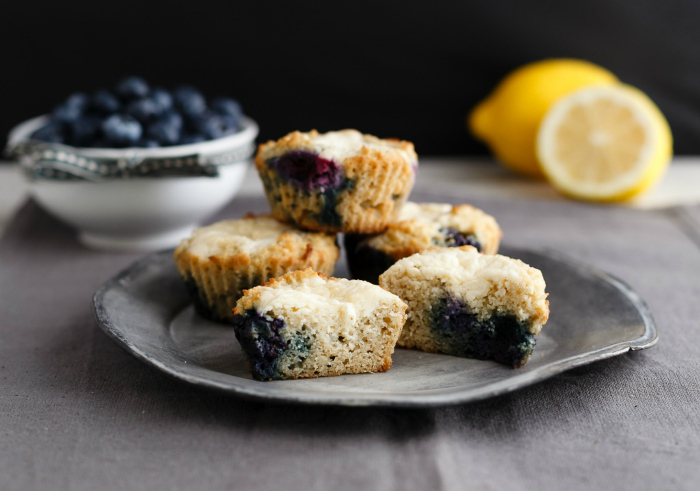 These are the love child of a grain free, lemon blueberry muffin and a cheese danish. 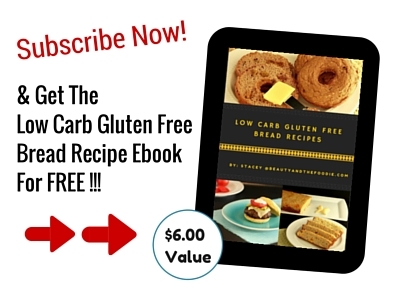 Low carb, keto & gluten free. Awesome deliciousness happening here! 3 ounces organic full fat, cream cheese, softened. 1/4 tsp gluten free organic vanilla extract, or ground vanilla bean powder. 2 tbsp Sweetener of choice: 2 tbsp eryrithtol sweetener like Swerve or other low carb sweetener equivalent. 1/2 cup Swerve granular or other granular low carb sweetener equivalent. 1/3 cup unsweetened almond milk or coconut milk. 2 tsp lemon zest grate lemon peel with micro plane or fine grater. 1 tsp gluten free organic vanilla extract or ground vanilla bean. 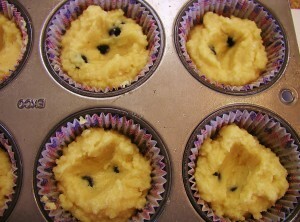 ½ cup blueberries fresh or frozen. Preheat oven to 350 F, and grease or oil 12 cup muffin pan (could also line with paper muffin cups, and could oil those a little too). In large mixing bowl, beat with an electric hand mixer or stand mixer all the cheese Danish filling ingredients: cream cheese, optional sour cream, lemon juice, vanilla extract, sweetener of choice, and egg yolk. Set aside. In a separate large mixing bowl sift the coconut flour, and add: sea salt, & low carb sweetener Set aside. In separate, large mixing bowl combine: eggs, milk of choice, melted butter or coconut oil, vanilla extract, lemon juice, lemon zest. Combine: Egg milk liquid mixture with coconut flour dry mixture. Stir together thoroughly. Add baking powder and apple cider vinegar. Mix together well. 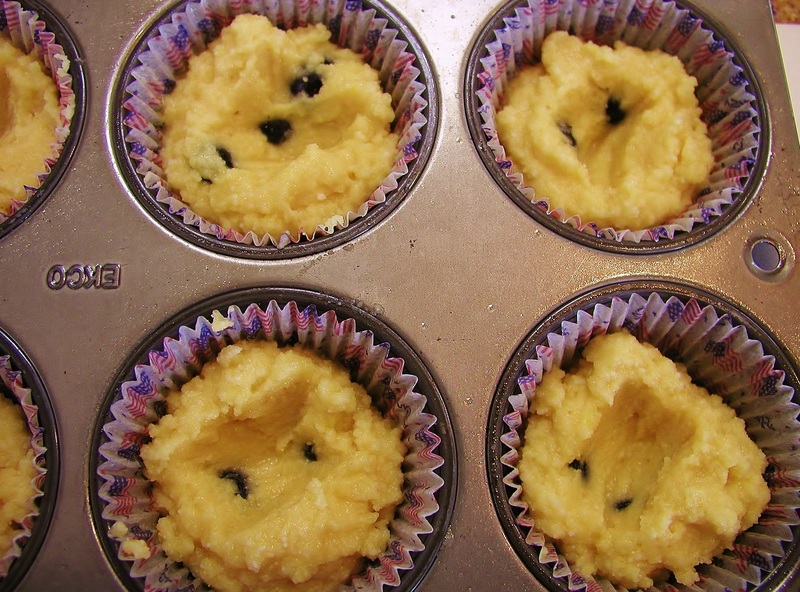 Add blueberries to the coconut flour batter and fold in. Fill muffin pan cups 2/3 full with coconut flour batter. 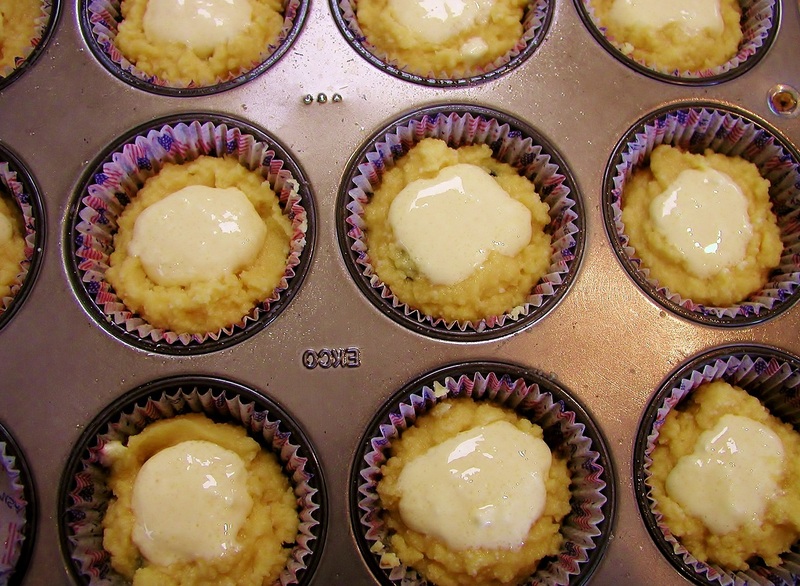 Use a spoon to make an indentation in the center of each muffin (as seen in photo above). Use a spoon to fill the hollow center of each muffin with the cheese Danish mixture (as seen in photo above). Bake in oven for 22 minutes or until center is set and tops are golden (check at 20 minutes as all ovens vary). Cool completely before removing papers and serving. Can refrigerate then serve, and all leftovers should be stored in the fridge. Awesome recipe!!!!! I will make it often. I made a couple of changes because I had sour whipping cream, which I used instead of almond milk. I added 1/4 tsp soda. It needs the lemon zest which I did not have, because I couldn’t taste the lemon. Thank you for a great recipe! I couldn’t stop eating them, fabulous! Is the 1/2 cup coconut flour flour correct? Mine were very runny and not thick as pictured in your photo. Janet, It is a 1/2 cup of coconut flour, but you can add a tbsp or 2 more if your’s is not thick enough. It also help to let it sit a couple minutes after mixing as the coconut flour will absorb the liquid and thicken while sitting. But it can vary with different brands of coconut flour and even different humidity conditions. Mix it, let it sit a couple minutes, and if not thick enough add a tbsp more. Coconut flour can be tricky. I really love your recipes!. 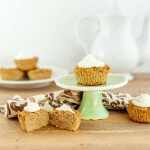 How about a low carb, sugar free version of rice krispie tweat . Thanks Kelly, I love those rice krispy treats, but would have figure out a way around the rice, as rice is so high carb. Oh my gosh, these are so good. Thank you so much for the recipe! I will be making these frequently for sure. Most of the first batch is already gone…. Ha ha, you are welcome. I have to admit though, we love the filling so much, I usually make a double batch at a time, and then I will triple the filling part, so they are extra filled 😉 Sooooo good!!! 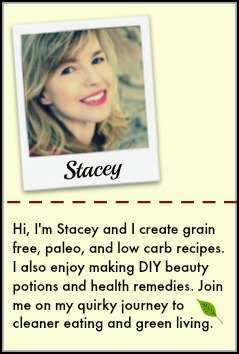 Can liquid stevia be substituted for granular in this recipe? Mary, I believe that you could use liquid stevia for the cheese danish filling, but not entirely sure how much you would use. These look unreal – how long would they keep in an airtight container or could they be frozen? Hi Jeni, i have had them in the fridge in a covered container for up to a week. They get eaten before I can find out the exact perish date. I would think they could be frozen, but I have not tried it yet. These look great! Saving it in case I can figure a way to make them dairy-free or at least with a sub for the cream cheese. Hi Heather, I am thinking of trying some cashew cheese or cashew butter to use for a dairy free cream cheese sub. I just need to see if it holds up to baking. Lynne, sifting is not absolutely necessary, it is because of the clumpy nature of coconut flour is why I recommend it. But if your willing to mix super vigorously and smash up any clumps, then you can nix the sifter. I think the sieve work too. Just made these tonight…amazing! I am so excited to have a breakfast treat for myself for our vacation this weekend. Thank you for sharing this. Thank you Jen! So happy you are enjoying them. I just made these and they turned out great! I am really a first time (from scratch anyway) baker so I made sure I followed every direction. I had no flour sifter or mixer and they still came out wonderful. I thought for sure they would not turn out because of my lack of experience but I was proved wrong! Thank you for the specific directions, I will be making these again. Barbara, thank you so much for trying the recipe and sharing your results. Great job on your scratch baking success! Thank you for your kind words. 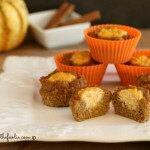 I’m dying to try these this weekend but I can’t get coconut flour until I amazon.com order some. Think I could try almond flour? Would the amount change? 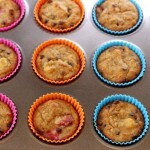 Breck, I have not used almond flour in them, but if you use almond flour, you would need to use 4 times as much. So if coconut flour is 1/2 cup then use about 2 cups almond flour. It may taste different though. 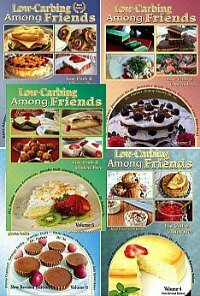 I’ve tried several recipes using a cream cheese filling trying to get that “real” (or as real as the previous fake food versions were that I used to eat before diabetes) danish cheese filling taste. Based on this recipe I finally figured out what’s been missing in the other ones I’ve tried — a little tangy sour cream to complement the sweetness! I thought it was ironic that you indicated the sour cream was optional because the addition of it really does set this cheese filling above the rest. Either way though it’s an excellent recipe and thanks so much for sharing. Pamela, thank you for trying the recipe and commenting. You are correct, they are way better with the sour cream added in! I think I will make that not optional, great suggestion! I want to thank you so much for sharing this recipe! i just made them…followed every step (very unlike me)…and WOW are they ever worth the effort. I am in heaven. Thank you for sharing your talents with us! Victoria, thank you for trying these and taking the time to comment. So glad you enjoyed them. I know what you mean about following recipes step by step. I do tend to skip steps with all directions, lol. Do you think I could use Truvia instead of Swerve? I did not find anything at all like Swerve at the grocery store, and can not use honey. Tara, of course you could use Truvia or any other erythritol sweetener brand. Hi Chris, I hope you enjoy them.